Could I not come up with a longer title? Seriously. I have gotten so many emails from all of you thanking me for the tutorial I posted about almost 2 years ago. I’m so glad it has helped so many of you. And I absolutely LOVE seeing all the pics of your slips! I’ve also gotten tons of questions…that I just felt like I couldn’t answer in one post. So, I decided to write a more elaborate ebook because inquiring minds want to know all the innermost workings of how to make their very own custom slipcover. There are also detailed pictures because if you’re like me…you’re a visual learner and you need to SEE how it’s done. I’ve been working on this for over a month. I’m a slow writer, then I would procrastinate by baking brownies and then eating them…all the while googling what Rob Pattinson is up to. Just sayin’. So…here it is and you know you’re dying to be conversant in how to sew those inside corners of the frame together! I am a self taught custom slipcover-er. I learned through trial and error and hopefully this book will give you the in’s and out’s so you won’t have to waste fabric like I have or other mishaps I’ve made. I really just want you to benefit from my mistakes and encourage you that you CAN do it! 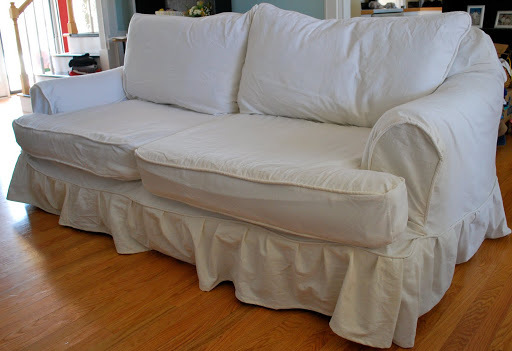 You can make a slipcover even with the most very basic sewing skills. You can have a new sofa for a pint-sized price. 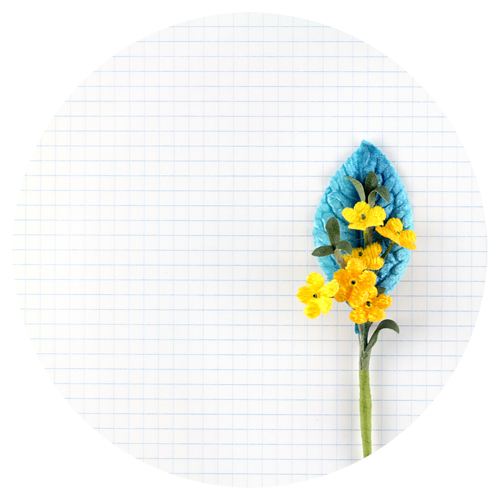 If you want to update your home for spring, this is the most economical and dramatic change you can make! I can’t wait to see all your pictures. I’ve set up a forum on ning. You can add pictures of your slips, we can chat, everyone can post questions and we can answer each other and give tips. It’s like a little slipcover community. 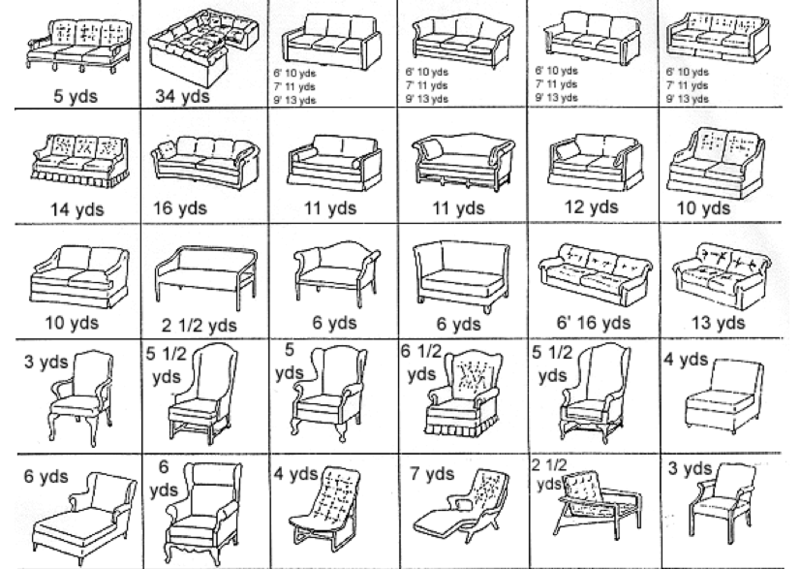 Oh Snap!…here is a free link to an Upholstery Chart. It also tells you how much to buy for bedding, shower curtains…etc. I meant to put it in the book, but I was googling RPattz. So click on that little “add cart” button and for only $10, you too can know how to make your very own slipcover! Yay! Looks great… and is that wood instead of berber? You so did not re-do your floors and not tell me, did you!?!? 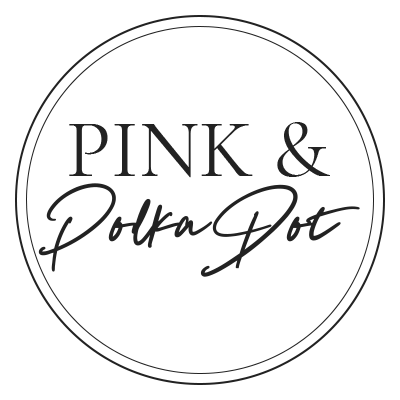 Ok, Pink, I don't want to be greedy or anything. I just bought your book. It's fantastic!! But I have a sick wing back chair laying in my family room for three weeks now. She has a partial slipcover on her. I know you said not to start with a wing. But that was before I bought your book and also she is second. My first EVER slip cover was on a slipper chair and ottoman about a month ago. Help me if you can. Please! Those wings and arms have me in quite the conundrum! 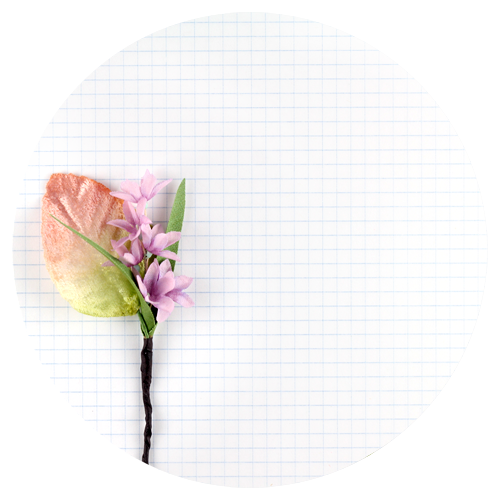 you will have to cut the wing front and back seperately…like puzzle pieces. take your time and go slowly…one piece at a time. I used your tutorial AND your video on a ruffle yesterday to make an ottoman slipcover and it turned out so freakin' fabulous that I just bought your book before I do something stupid to my chairs that match the ottoman! Thanks! You're a genius! Hello! I read your reply to this web site and wanted to read more about your blog…soooo…I went there and it says I have to be invited. I am new to this “blogging” and I really don’t live under a rock…but I would love to learn more about what you made from The Lazy Girl 🙂 you said you finished your ottoman…would you invite me in to check it out please?!! Thank you!!! I am AKA “Marine ma!” On Pinterest!!!! ps… I'm having trouble opening the knife pleat video from the ebook…am I just technologically illiterate? yeah, i'm going to run right over and check out your ottoman slip! No, you're not illiterate…apparently can't click on the link from a pdf. There's probably a way to do it, but I didn't know how. Just copy the link and paste it in your address bar! Thanks so much, I'm glad the book helped you! Girlfriend, you are speakin' my language! So excited for the ebook! 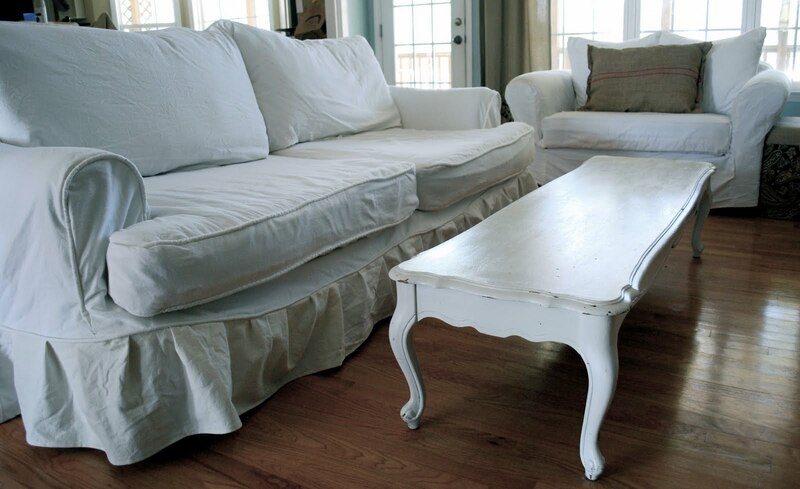 I want to slipcover our sofa SO.BAD. Motivate me! Thank you so much for the ebook! Gah!! Okay, right after I left that last comment I made it work… I just had to type in the address by hand instead of copying and pasting. Thanks for letting me be a pest! I'd like to purchase the ebook as I'm getting ready to slipcover two recliners. Just want to check first, are there special instructions for recliners in the book? I almost laughed out loud when I read “conversant in how to sew those inside corners of the frame together” because it was like you were speaking to me. I have made MANY custom slipcovers, but I have never gotten that part of the process down, and would be willing to pay the $10 just for that tip alone. I am bookmarking and will probably be back soon. Oh my goodness I am so glad i found you! I have been wanting to do something with my love seat and couch since I got it! Last June we moved from UK to Canada and things have been a bit uncertain on the job front. My partner is a nurse and it has taken the college of nursing till now to sort his paperwork so he can actually work! So we bought everything cheap in yard sales to make do to begin with. We were lucky enough to find a matching love seat and couch which is perfectly sound but I HATE the fabric!!! Now there is light at the end of the tunnel maybe I can go see if we can afford some nice fabric now and I will download your book and have a go!! I have a trip planned to fabricland after Easter… Yay! Just purchased the e-book. Does it get e-mailed to me? I just purchased an upholstered glider and ottoman for our nursery. The next thing I did was purchase your book! My girlfriend and I are going to attempt to make you proud. 🙂 Only bummer is that we are starting off with a chair with wings! Any helpful hints on tackling this part of the chair? Good tutorial. Yes, teensy price. Disappointed you opted to charge people. So many of us DIYers count on each other and inspire each other-FOR FREE. It's not THAT good. A question before I take the $10 plunge. I have a camel back sofa. Does the tutorial include instructions for tackling that shape? Thanks! what happened to the “Add to Cart” button? Would like to buy it but when I hover over the “add to cart” it pops up “Pin it”. You can just click on the button and it will take you to the checkout! Let me know if you have any issues! Thanks so much! Is there one in there for sofas with recliners?? Thank you so very much. I read that original post over seven years ago and must have filed it away in my brain because today I made a slip cover out of coffee bags and I used your lazy girl method. It was so easy. I can't believe it. I was always so fearful of wasting expensive fabric trying something I had never done, and this was a perfect confidence booster. I am so pleased with how it turned out – and how quickly it went together. No stress. Thanks for putting this idea out there.